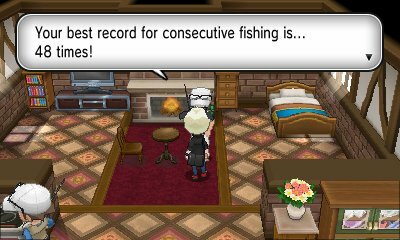 When you pick up the Super Rod in Route 16, you can talk to the other fisherman in the house. He will inform you of the concept of Consecutive Fishing. This concept means collecting fish repeatedly, one after another, without moving. He states that if you can beat his record, he will give you some Dive Balls. However, he makes a hint that there is more to consecutive fishing than meets the eye. It turns out that if you manage to get a chain of consecuctive fishing hooks, it will gradually increase the likelihood of finding a Shiny Pokémon, with the exact figures still to come. The higher the amount of Pokémon hooked, the more likely you get a shiny Pokémon, but as with PokéRadar, this is not a guarantee. There are a few things that will break this consecutive streak, however. If you move from the spot, the streak is broken. If you pull in the rod too early, the streak is broken. If you don't get a nibble, the streak is broken. 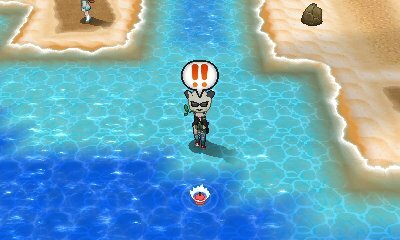 With the latter being a possibility, it's logical to have a Pokémon with the ability Suction Cups as your lead in order to increase the likelihood of hooking a Pokémon.